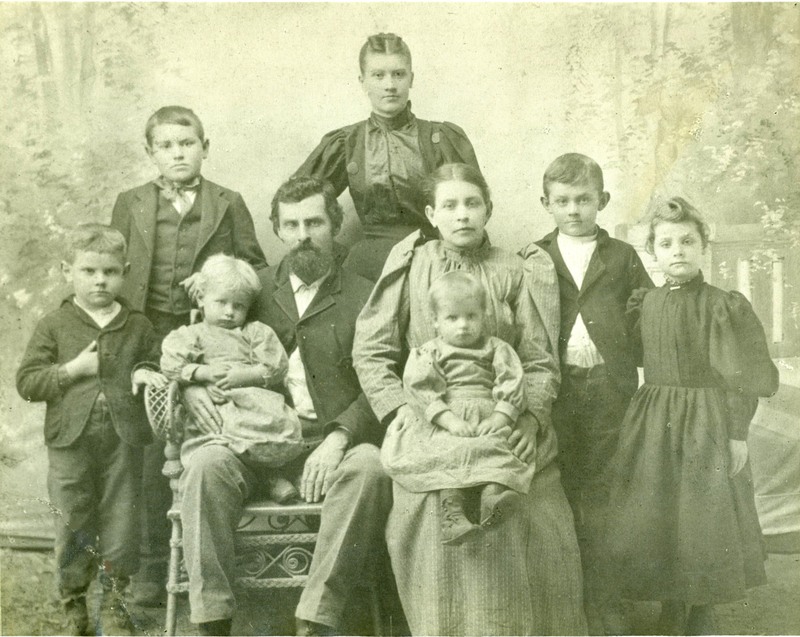 Female standing in back is Florence Spencer - relationship unknown. 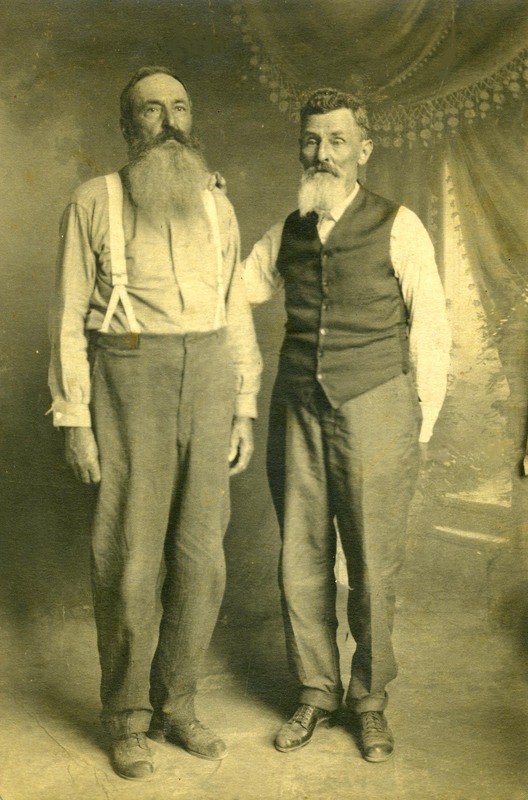 William L. Yancy was born the 31 March 1836 in Pickens County, Alabama and died the 30 of May 1952. His parents were Philip Henry and Sophronie (Carden) Yancy. He married (1st) Nancy Sharp and they had one child, John Edward ("Word") Yancy. She died and he married (2nd) Martha Bratton. Nancy is buried in the Webb cemetery in Lafayette County. W. L and Martha are buried in the Sarepta cemetery, Sarepta, Miss. W.L. and Martha had 8 children. 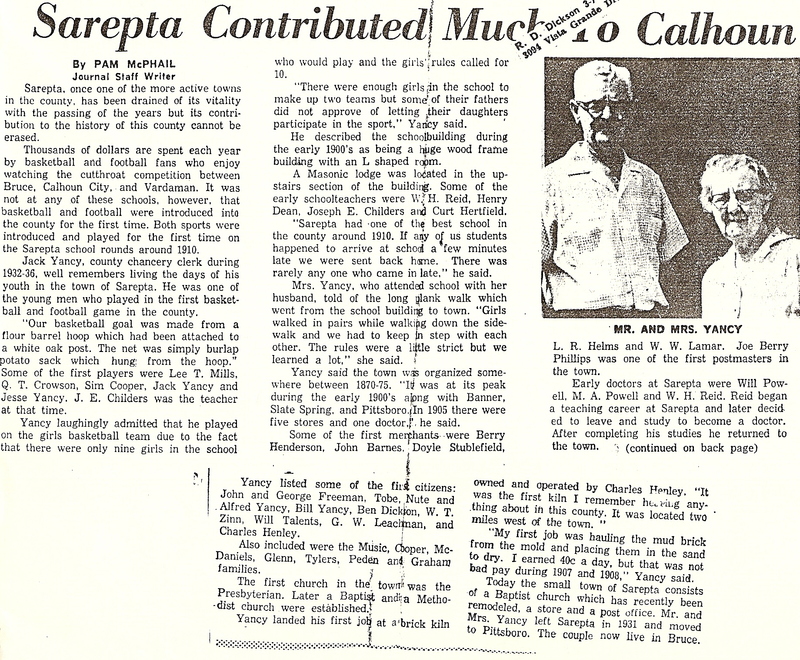 They lived in Lafayette County on the Buck Sharpe place. Myrle who married. Hubert Glenn and lived near Sarepta,Miss. Horne 19 Nov.1955, had two children-Jimmy Ted b. 31 Aug.1960, Lori Ann b. 25 May 1963.
in Sarepta Cemetery. George T. and Ila are buried in Webb Cemetery. #3. Phronie Adelle born 11 Apr.1889, died 26 Mar.1963. Never married and loved by all. of William and Cassie (Anderson) Onsby. They had two children, Jesse Lee Jr. and Robbie Rae. 1951. She was b. 25 Mar.1933 and was the daughter of Thomas Wilson and Monette (Morgan) Young. Jesse and Barbara had 3 chi1dren - Cynthia b. 27 Feb.1955; Jesse Lee III b. 12 Dec.1957 and Thomas Warren b. 31 Dec.1958. Jesse Lee Yancy, Jr. served as Senator for the State of Miss. He also served 8 years as district attorney for the Third Circuit Court Dist. before his Senate election. The Jesse L. Yancy Library of Bruce, Miss is named in his Memory. Robbie Rae Yancy (female) born 16 Mar.1928 md. # 1 William Albert Cooper and had 3 boys. children, Jessica Rae b. 7 Feb.1977--Sherman Collums b. 21 Nov.1980. was b. 22 Mar. 1924--d. 2 Feb.1959. He is buried in Bruce cemetery, Bruce, Miss. #5. Claudie Clay (Jack) Yancy born 30 July,1894, died 14 Mar. 1980 married Ethel McGill. cemetery. 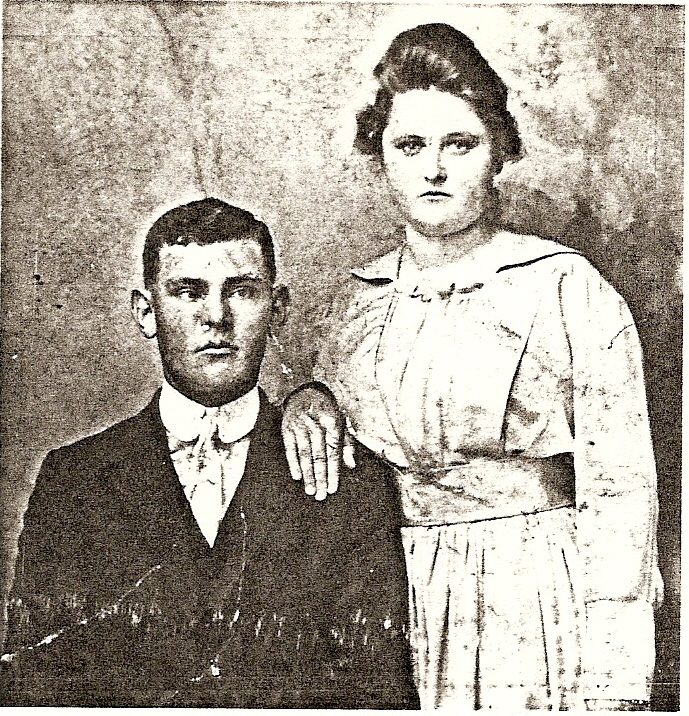 They had two children, Lester Truman and Ruby Zane Yancy. Samuel and Jackie Dee. Truman and Maxine live in Durham, N. C.
b. 6 Oct,197l. William Samuel is a doctor and lives in Durham, N.C.
Richard Herbert Wiebe, Jr. b. 17 Dec.1979. They live in Mobile, Ala.
children, Yancy Robert b. 7 Jan. 1981 and Laura Zane Magness b. 2 Feb. 1984. Reese III("Jay") b. 30 Jan. 1982. Walter is retired and they live in Bruce, Miss. #6. Maude May Yancy (Twin to Claudie Clay) born 30 Ju1y,1894 died 1973- married. Clarence Mize 25 Dec .1917. They are both buried in Tu1a Cemetery. 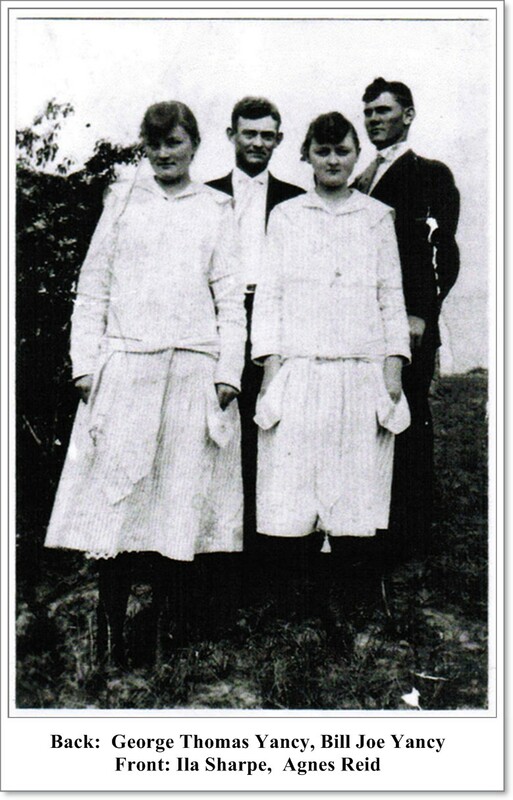 Had two daughters Eunice and Inez. Dianne. She m. Michael B. 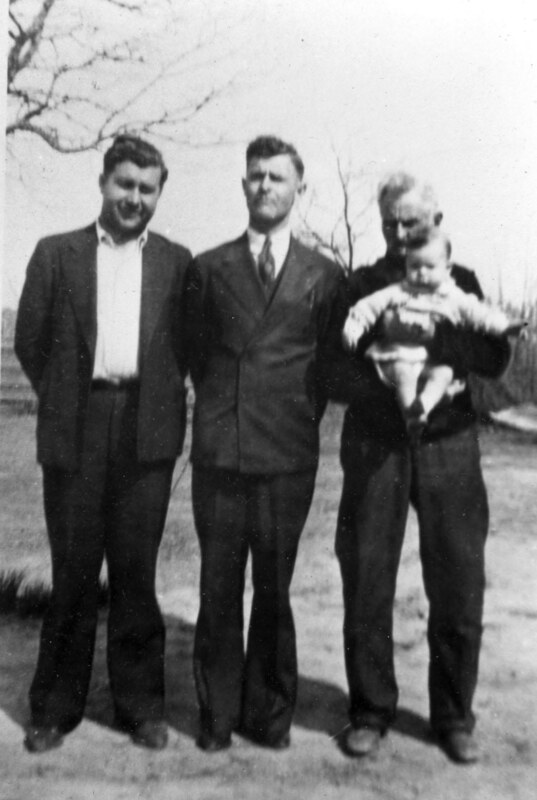 White and had two boys, Grant and Brad. children, Payton b. 26 Mar 1976 and Amy b. Dec.1978. Inez and Son live in Germantown, Tn. buried in Bruce cemetery. Jettie lives in Bruce, Miss. #9. Virgie Yancy born 13 June 1903 died 28 Feb 1983. 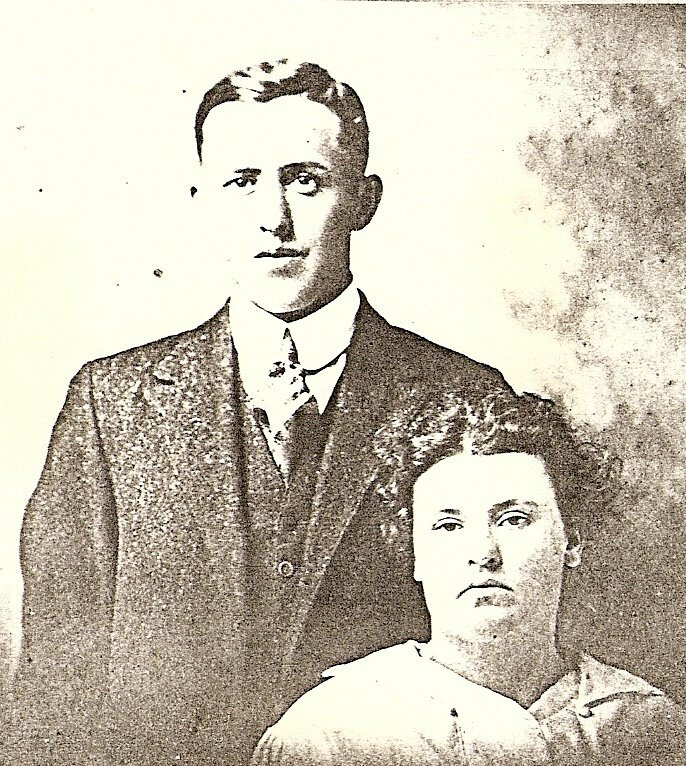 Married Dwight Moody Hipp 31 July 1920. More Family Info. always treasure the times spent with Gramps and Auntie (Phronie). 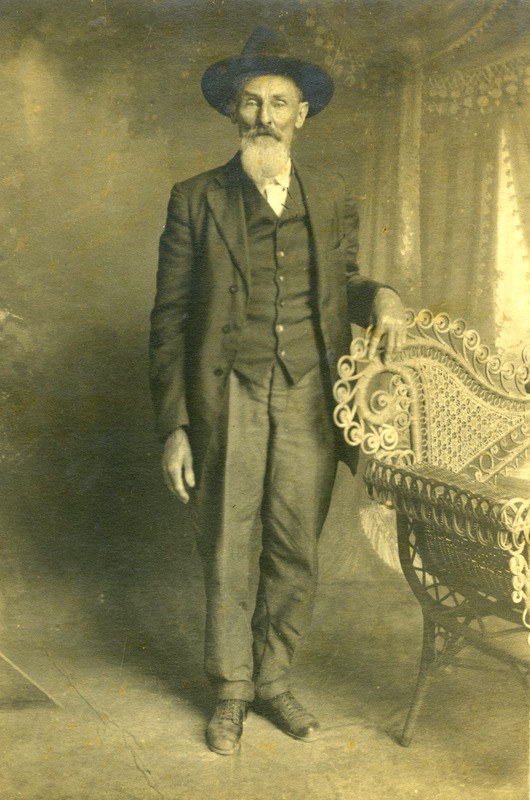 Claudie Clay ("Jack") Yancy - son of William L Yancy. Bill Joe & Velma lived near Gramps and taught school in the Delay school system. They use to drive a Model T and when it rained there were no windows to roll up. This was told to me by my brother, James Hipp. He went to school at Delay and rode with Aunt Velma and Uncle Bill Joe. I always wanted to go up there for they had such a pretty house and Erma had all these things, their Christmas Tree was just beautiful at Christmas time and she had this cabinet record player, you had to crank it but we kids like to go into her sitting room. I ate my first Jello at Aunt Velmas when I was just a small child. Uncle Bill Joe sold Milk and hauled it to Bruce, Mississippi to sell. Erma went to Bruce School and graduated there. We did not have many dresses but Aunt Velma would always make us dresses, she could sew real good and helped us out a lot for we did not have very much at all. 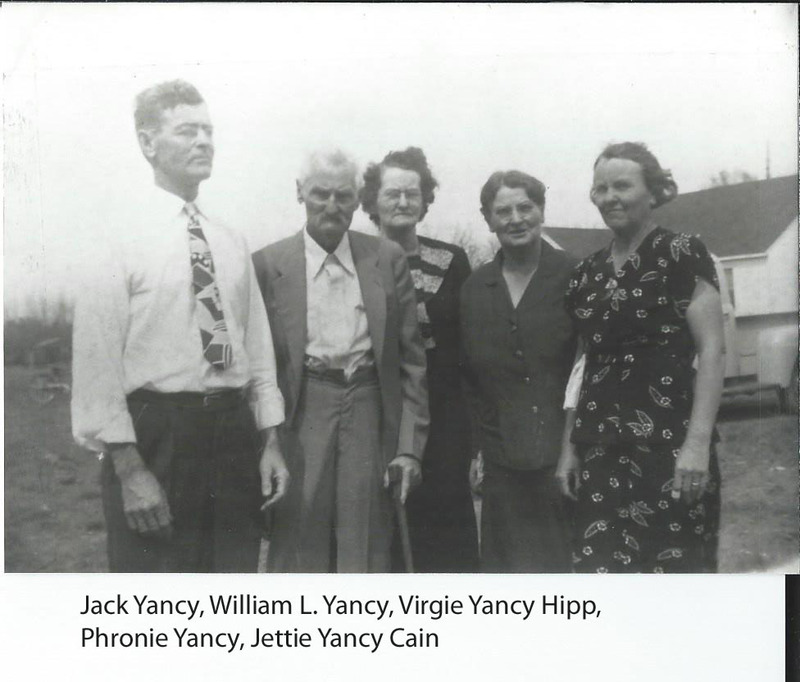 Bill Joe Yancy, the son of William L. Yancy and Martha Bratton, was born July 5th 1897 in the shady Grove Community, Calhoun County, Mississippi, in which he lived all his life except for a short time while away teaching school. At the age of l6 he made a profession of faith in Jesus Christ as his personal Savior and united with the shady Grove Church, Methodist Episcopal Church South. From the time of his conversion until his death, he lived faithful to his church as a steward and as a teacher of adult class in church school, for this writer it was a pleasure and a treat to be in his class on Sunday mornings. Once to a new acquaintance he said you will find me to be just a man, in the age and time which Bill Joe lived it took lots to be a man, he measured up to every requirement not only that but a Christian character, in such a radiant way as in his home circle where was a true companion, a loving father and a kind and gentle host. His home was at all times thrown open to his friend He did not let the cares of the world dim the glow of true affection about his heart store, to know him was to love him. By all measures he was a great rnan. After the physicians told him there was no cure for his illness he met the situation with words, I am ready. Then after 8everal weeks of suffering on May 27, 1939, Bill Joe Yancy, quietly slipped from this earthly pilgrimage into the dawn of an eternal fellowship with God, and redeemed host of heaven, On the following day, Sunday May 28, 1939 at 2:30 P.M. under the mighty oak of Sarepta Cemetery, service was conducted by his pastor, Rev. Ocel Lex Elliott assisted by his former pastor, Rev. B. E. Crowson and his body was laid at rest under a beautiful mound of flowers. He Leaves to mourn his going wife, a daughter Erma Yancy, his aged father, W. L.(Bill) Yancy, 3 brothers, Word, Jack, Jess Yancy. Four sisters, Mrs. Clarence Mize; Mrs. E. H. Cain; Mrs. D. M. Hipp and Miss Phronie Yancy and a host of relatives and friends. Pallbearers were brother in laws of the deceased, they were D. M. Hipp, Emory Yancy; Clarence Mize; Van Powell; Dewey Crowsin; Roland Waldrop; and Howard Yancy; His ideals were typed by noble ancestry and the teachings of Christ, so that his life was gentle and with the elements so mixed that nature might stand up and say to all; “This was a Man”.